An innovative programme on SAT-7 KIDS tells Bible stories using the creative talents of Egypt’s first sand artist. In Stories in the Sand (in Arabic, “Ramleya fi Hekaya”), artist Michael Romany brings parables to life as he pours sand through his fingers and paints moving images on an uplit, glass table. 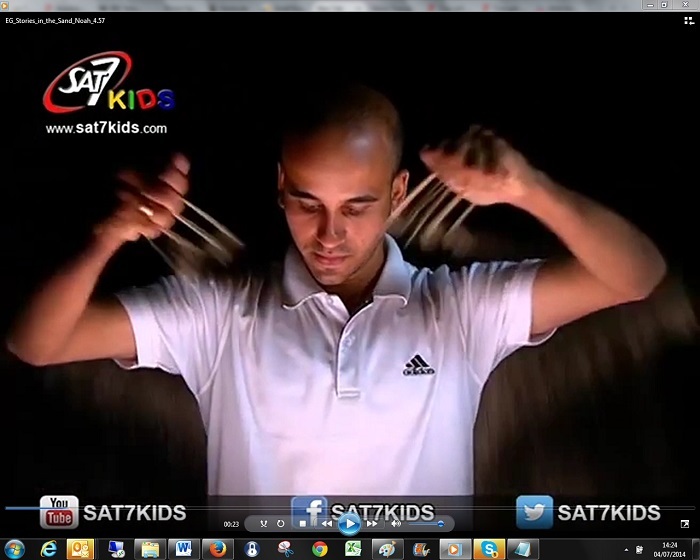 Producer Monir Zakhary and his team have crafted the short, five-minute episodes to capture the attention of children. Stories in the Sand has enacted the Creation and the Fall, the prodigal son, Jonah, the testing of Abraham, and the baptism and temptation of Jesus, among other Bible passages. An episode depicting Noah’s Ark put viewers in the moment by incorporating the sounds of waves and animal calls in the background. Narrator Marianne Khalil told the account of Noah building the ark in colloquial Egyptian Arabic, a dialect that is widely understood throughout the Arab World. The narration stayed true to the details of the Bible passage, without adding any characters or details. 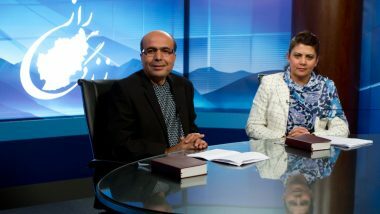 The SAT-7 PARS and SAT-7 TÜRK channels will dub Stories in the Sand into Farsi and Turkish for their viewers – a collaboration that will carry the artistic wonder to an even larger audience. 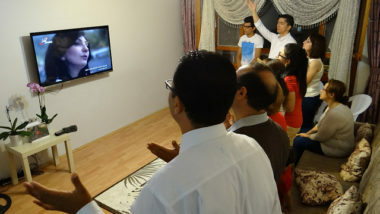 Throughout the Middle East and North Africa, watching TV is an activity that often gathers the whole family together in one room. Stories in the Sand is a programme simple enough to reach young children, but so artistic and unique that the Bible stories will catch the interest of their parents as well. Programmes like Stories in the Sand are solely paid for by donations or trust funding. Please consider making a gift to enable more children in the Middle East and North Africa to hear the stories of the Bible and hear of God’s love.